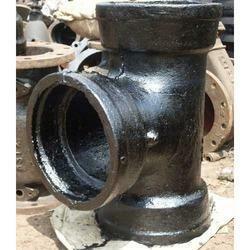 Providing you the best range of socketed bends, socketed tail piece and socketed tee with effective & timely delivery. Our firm specializes in offering an excellent range of Socketed Bends that are used to allow a stable connection between the soil system and the underground drainage system. Our provided bends are designed using the best quality raw material and sophisticated technology by our adept professionals. To maintain industry norms, these bends are rigorously tested by our quality examiners on pre-defined parameters of quality. As an esteemed name in the relevant industry, we are offering a precision-engineered array of Socketed Tail Piece. Following industry standards, our experienced professionals design this tail piece using top notch quality raw material and modern technology. Our provided tail piece is sternly tested by a team of quality examiners on variegated parameters in order to ensure its flawlessness. Clients can avail this tail piece from us at affordable prices. 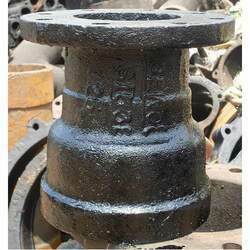 Our organization is actively engaged in manufacturing, importing and supplying of Socketed Tee that is suitable for piping applications. Our provided tee is designed using the best quality raw material and innovative technology. We offer this tee as per varied needs and specification of our esteemed clients. Apart from this, provided tee is tested by our quality controllers on variegated parameters and can be availed at market leading prices. 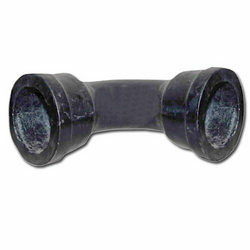 Looking for Socketed Fittings ?